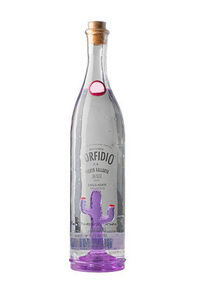 Created by Austrian entrepreneur Martin Grassl, Porfidio is famous for its hand-blown bottle which actually contains a small blue glass cactus. 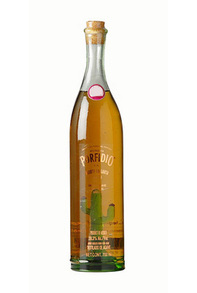 The marketing and packaging is clever (even if the cactus has nothing to do with tequila production) but, despite being triple distilled and one of the few producers to have won multiple awards for their single barrel 100% agave tequila, there is a great deal of controversy behind this label. "Martin, if you're reading this, please drop us a line and let us know you're OK. Seriously, we're concerned." A nice agave nose. Not too strong. A bit of a floral accent to it as well. It's a very good blanco. The bottle is cool looking, too, and the story behind it all makes it nice conversation piece and a good looking bar piece. One of the darker anejos, amber with red overtones; a multitude of small, slow tears.